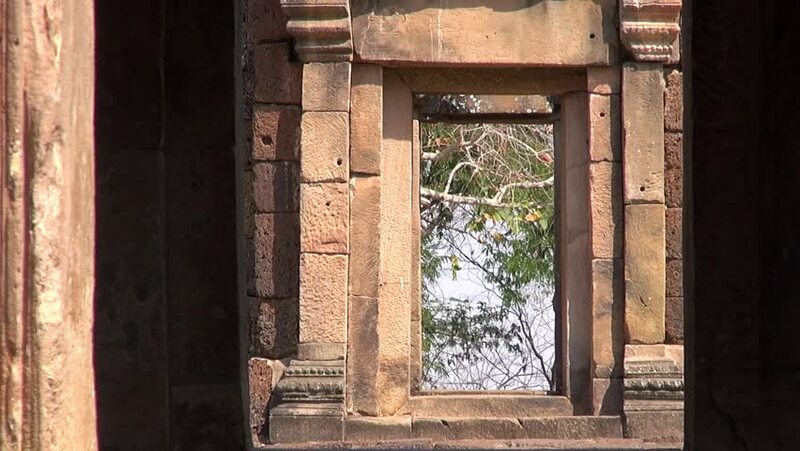 hd00:14The Khmer temple at Phanom Rung Historical Park. Over a thousand years old and built on an extinct volcano, the temple was originally a Hindu site, but later became Buddhist. hd00:07High metal doors with spikes inside of Mehrangarh fort. hd00:30Entering ruins of ancient Hindu temple. Smooth first person tracking / trucking shot. Acyutaraja Mandir, Hampi, Karnataka, India. Starscape courtesy of NASA. Public domain image.